After years and years of trying to organize, label, use, find ink that works, I finally came up with a solution! Before my last move, I took a long look and realized that I don't use colored cardstock much and it was taking up way too much space. So -- I got rid of most of it! I kept white, off white, black, grays, red and greens, and kraft. I kept vellum and white textured. The rest I donated. Probably not a solution for most people, but I hope it works for me! pepperann, UnderstandBlue, maryrose and 4 others like this post. But now I am right there with you. I have slowly but surely donated the majority of my colored card stock. I have kept some for framing and such, but like you tend to use the neutrals most. Interesting how our “needs” change, right? fl_beachbum and geewhysees like this post. I’m not getting rid of my colored cardstock, but wanted to mention that if you buy patterned paper packs, there are some that include some plain colors in the pack so you have the exact match of plain paper. It just takes some looking to see which ones include them. Joan B, duranfan and craneacres like this post. I'm kind of in a moderate position. I took a good look at my colored CS, knowing that I had not been using it very much, and seriously looked at my "gotta keep it all" ideas. What I found is that with so many choices I didn't use any of it. So I tried to decide where I DO use colored paper, and evaluated my collection on that basis...but also on the basis of colors that I LOVE to work with. Obviously I kept my white, black and grays. I kept the Neenah desert storm. I'm not happy working with vanilla (off white) so my friend got all of that! She's happy! For my colors, I found that I do like the light colors for card bases occasionally. So light colors dominate what I kept. Then I kept coordinating colors that I see as lovely groupings. No grayed colors, hardly any oranges or yellows. Kept some purples because of the purple-obsessed granddaughters! Otherwise I'm heavy on turquoises and reds. And greens for leaves, browns for branches. However, the volume was cut in half. I do use my colored paper for diecuts, so I can't get rid of ALL my colors! pepperann, Joan B, fl_beachbum and 1 others like this post. I love my coloured cardstock, but it doesn't take up a huge amount of room. Most of what I bought was 'offcuts', aka the scrap packs sold at the dollar store. Tons of different hues in small sizes, which works perfectly for the die cut and paper piecing I favour. Bigger sheets I keep in a hanging file folder box on the bookshelf next to my desk or in 12" organizers. I never thought I wouldn’t use all colors of cardstock but this has proven to be true. When I ordered last time it was gray, Kraft, black, smoke, navy and a couple of darker grays. I use some red for die cuts. With all the pencil, ink blending, and watercoloring techniques I find that floral colored paper die cuts aren’t my thing anymore. I am even ink blending my card bases now. I’ll keep it awhile longer to see which colors I still use but I don’t expect to be running out any time soon. Colored cardstock takes up a whole file drawer that could be used for something else. It’s interesting to see what people do! I can’t say that I use ALL my coloured cardstock but I use a lot of it. I have ink that matches for the most part so I don’t struggle to have the right ink. I prefer to use coloured cardstock as my card base, for me it adds to the overall colour scheme, and the heavy weight of most of it (I am a StampinUp user) makes for a sturdy card. So because I use it for bases plus mat layers, I can say that I do go through it. Paula in GA, cnsteele, cycworker and 4 others like this post. Same. I got rid of hundreds of pounds of that and patterned paper (which I also never use) and made some friends and one teacher verrrryyyyyy happy. I still have more to purge, but I have a pretty minimalist rainbow left that will probably last me years. Joan B, fl_beachbum and RenT like this post. Yeah a few of the dark jewel colors look pretty good embossed and filled in with colored pencil but the pastels in my stash will probably get given away plus a lot of the funny greens and all the purples that I thought I needed a few years back. I was just beginning to realize I wasn’t using them when this thread came up. A couple of years back, I pre-made card bases out of the colors I wasn't using so much. I almost always use a separate panel for the front of my cards and line the inside, so this was a perfect solution for me. I get almost all of my cardstock from PTI and pretty much have all of their colors. But what I started doing was buy the smallest pack (12 sheets/$3) instead of the largest packs (50 sheets/$9). For my favorite most-used colors, I still buy the large packs. My downfall was when they clearanced all their patterned paper a couple of years ago for $1/pack. But I'm using it. I ordered some of the quilt block dies from Gina Marie, and I'm going to town making sets of quilted cards as gifts. Joan B, maryrose, gregzgurl and 3 others like this post. I'm going up to Utah Wednesday evening to stay for the weekend and pulled more than half of my (still overly large) collection of cardstock to take to my daughter who has caught the stamping bug. I'm also taking dies I don't use, stamps I've culled, a handful of punches... Tonight I'm going through the dp (ruthlessly!) to add to the stack o' stuff! Most of the cardstock I kept was because it coordinates with dp that I still love and plan to use, or that is a color I love but I'm almost out of it. Colors that were not in my wheelhouse are gone, and there are quite a few colors that I only kept the scraps (I'm giving her all full sheets). I plan to follow Mary Beth's (aka Lutheran - see post #70) example and make some fun quote/inspirational cards or maybe some tags - or both! I don’t use a lot of colored CS anymore for cards. I used to but now I use more whites. My stash is not huge. It fits easily into my file cabinet. I was just think I have not ordered any 8 1/2 x 11 in awhile and I am still making cards so I must be using something. Funny how ideas seem to float around that are the same. I only buy whites, grays, and kraft. With mixed media techniques in vogue, colored paper isn't necessary and looks dull. You can create a color explosion on your card with watercolor and it's beautiful. I use colored CS for die cutting, matting and occasionally bases, so enjoy having a robust ROYGBIV + neutrals stash. But a beautiful navy purchased at a Stamp & SB Exp was put in the donate bin, because I didn’t notice it’s overly heavy, about 4,000 pounds, not that I exaggerate. A few colors I might not use, even for die cuts, were also set aside, like canary poop green and bile acid, mainly because stashes of anything have to fit comfortably into their containers/locations or something has to leave. RenT, craneacres, Dorie95 and 1 others like this post. I doubt I will ever get rid of all my beautiful colors. I shudder just thinking about it. I did stop years ago from buying all the new "in colors" from SU, as that was just adding colors too fast for me to see the value. I only have their "core" colors that stick around much longer and some of my favorites that I stocked up on when they retired. I love making colored base cards and use all my cardstock. I love seeing all the different coor combinations I can get. It is soooo fun! Paula in GA, cycworker, cardmaker2 and 4 others like this post. The title of this thread makes me giggle! What "dilemma" could possibly come from colored card stock?? I started stamping via SU, like many people, and was a demo for a few years. I could differentiate between the colors on sight (except the pesky ballet versus brocade blues) and collected new colors as they came in. The comments on this thread highlight how wonderfully diverse the crafty world is! Our preferences run the gamut, which is why I love this community so much!! TeeGeeDee, Paula in GA, fl_beachbum and 5 others like this post. Not only am I tiring of colored cardstock bases I am now tiring of the look of stitched dies. I have a too big collection of stitched rectangles and every other shape. I wish I had just bought all plain die shapes. Yep. I retired Old Olive myself. And about a dozen more that SU persists in hanging on to. I love color too. I love the color that I kept SO much more since I got rid of the colors that were oppressive and depressing. fl_beachbum, bettyjoanes, craneacres and 2 others like this post. I just recently went through and got rid of an entire box of retired colored cardstock, and patterned cardstock that I just don't use. I couldn't quite part with those that are current colors from SU and FSJ, but as I use them up I don't plan to re-order some. Baby steps for me! 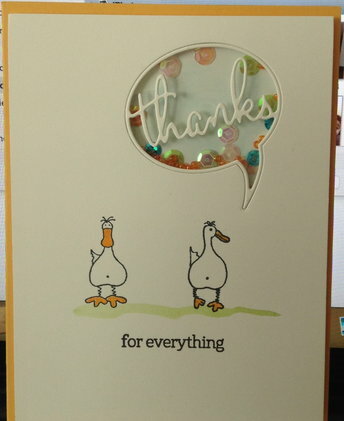 love reading everyone's version of how you use colored cardstock. I'm just the opposite! I love, love love Old Olive. It is one of my "go to colors" that I will stock up on when it is retired. Wish SU would bring back Brocade Blue. It was a really lovely shade. My creative brain has no understanding of reducing my CS stacks! As I create dimensional flowers to use on cards and in albums, I am always watching and waiting for Jo Ann's open stock paper sales! I bring along all my recent paper pad purchases and match solids to coordinate with the various collections. There's a sale coming up at 16/$2. I usually buy about 150-200 sheets at a time...really impressive 8 foot long receipt!! When working on a project (cards, photo albums, etc. ), I can shop by stash for just the right colors. LOVE doing craft shows and special orders! May all paper artists live long and prosper!! Joan B, Rebecca Ednie, Paula in GA and 5 others like this post. I love and use my coloured Cardstock. But there are some faves I buy in larger packs and some I rarely use so I just buy a mixed pack so I have those colours. Some I almost never touch but then all of a sudden it becomes an ‘in’ colour and it matches a few paper packs I have. So I’m glad to have it. Because I only keep a few sheets of each colour, it doesn’t take up a lot of room. Even if you decide to pare down your colllection, I’d recommend keeping a few sheets of each. I like the idea of covering the whole front with white and using the colored CS as a base. Except for my dreaded dirty peach color I think this is a good use. Might try to match up a color in the stamped front that coordinates with the base so it doesn't look too nuts. I gave most of my color paper to our area library for the "make and take" programs they provide for elementary children. Libraries are suffering economically right now. FYI, when a city doles out money every year to the departments the libraries are at the bottom of the barel. victorial, Paula in GA, fl_beachbum and 2 others like this post. I do a lot of scenic stamping and Old Olive is a great base for many of those cards. Love it. I still have my 'collection' of cardstock because my daughter uses quite a bit of it for crafting. When I first started cardmaking, I used to go down to my local scrapbooking store and choose designer papers from their rack & spend ages matching the cardstock to them & I amassed quite a collection for a while but it's alot less than it used to be. I hang on to my solid color cardstock, but I keep weeding out the patterned card stock - I just don't use it like I once thought I might. I use background stamps, embossing folders, and other things far more often than I use patterned card, so it's on it's way to be gone. In terms of paper weight - I use some patterned papers, but have tended toward the 6 x 6 collections - they have patterns that are just sized right for cards, and it's easier for me to keep them organized by season or event, or for some, color family. So a lot of my paper stash is going the way of patterned card stock - into donations to my local elementary school. fionna51, fl_beachbum and craneacres like this post. Your 'solution' sounds like it's just the ticket for a lot of us! I too have lost the drive to have tons of shades of every color. With solid-color cardstock, at least, I'm super organized and have a rolly cart with hanging files for every color, and a little cello bag in each one with scraps of that color. This has worked stupendously well for me for years now... the problem is that I no longer want all those colors! I've been going through and culling ruthlessly, selling, donating, or making card bases out of the ones I only have a few sheets of. I will say, my eyes were opened when I realized as I was going through and handling every color, that many of the sheets are now faded along the edges. That means even though I thought I used all my colors, there were lots of them that just sat in their files, fading away. So now I'm trying to be super vigilant and 1) get rid of what I really, truly, no longer want (as hard as that was to admit), and 2) think long and hard before I purchase colored cardstock. There are certain colors I always gravitate to, of course, and those remarkably weren't all faded in my files because I do use them up. So for me greens, browns, and certain blues are not a problem, but never again will I buy light purple or pink or bright yellow lol. fl_beachbum, berlycece, joniworx and 1 others like this post. Today I watched a video where the person shaded in her sentiment strip with ink blending to match a color in the card and then stamped and die cut it. It looked great and took a second. Her comment was that she had never seen a "Blueprint Sketch" colored cardstock. Ink blending the bottom layer of cards around the edges before mounting or swiping a Delicata metallic ink pad around the edges makes a nice border also. That leaves the inside white. Sounds interesting. I'm having trouble visualizing it, though. If the picture works I just ink blended the cardstock base around the edges before I mounted the top layer. I wanted it to match the duck bills and the sequins and didn't have the right color. I also ink blended in the window so as not to have a solid color cardstock look. joniworx and Joy-full like this post. Thanks for the visual! Your card is adorable. I went through that with scallops... Just gave away several sets of scalloped shape dies and only kept a set of rectangles. jeanne3579 and joniworx like this post. OMG...I have a hoarding problem. I just read this thread and I would have a heart attack if someone got rid of my color cardstock, much less anything else I have. In fact, I bought more things today. On that note, I need to go find Scrappers Annonomous Meeting. cycworker, jeanne3579, joniworx and 1 others like this post. Well I didn’t get rid of mine but I moved a dozen or so packs of colors that had never been used into a guest room cabinet. That is my usual step one for getting rid of something. If it doesn’t get used in six months or so it goes away. I’m not good with just tossing something after the first pass. It’s a process. I need an anonymous group for sure. Last night we evacuated our home because the fires came so close. I actually thought about taking my unopened packs of white cardstock and I did take my watercolor box.